Many computers have a feature enabled call “autorun.” This is a feature that causes things like discs and DVDs and programs to automatically run when inserted into the computer. Nefarious software can exploit this feature to automatically install itself on your system. Avoid this by disabling the feature. When your Windows system wants to update itself, it’s often for good reason. People who create computer viruses exploit loopholes in your system software in order to infect your system. Often, those system updates are intended to close those loopholes – so update your system! The same holds true for your applications like Adobe Reader, Flash, and others. Keeping them up to date helps limit your exposure to software you don’t want on your system, i.e. viruses and malware. Microsoft Outlook, the popular email application, can automatically show or preview images in your email. However, some savvy virus creators have managed to exploit that feature, and even to infect certain types of image files. Disable this feature to avoid problems. One of the most common ways malware is spread is through email, often through links you shouldn’t click and attachments you shouldn’t open. If you don’t know whether or not a link is trusted, DON’T CLICK IT. The same holds true for attachments. Websites are a common source of computer malware, either through the ads on that site or through the site itself. 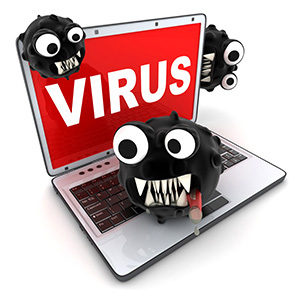 Once infected, this malware can cause you big problems. Avoid this by steering clear of websites you don’t know or trust. Many sites don’t like you to use ad blocking software, since they need ads for their income, but unfortunately ads are also a common source of malware. Using ad blocking software can go a long way towards keeping your system more secure. A firewall is a piece of software that sits between you and the Internet, ensuring only things you want to get in gets in and only what you want to go out gets out. Having a firewall properly set up is a key piece of good home PC security. If you don’t know how to set one up, a computer service in Brick, NJ can help. A good rule to adopt: if you are not expecting an attachment, don’t open it. Period. End of story. Pop-ups are more than annoying, they can also be a source of unwanted malware and adware. Use a pop-up blocker, either external or built into your browser, to suppress those annoying pop ups and keep malware to a minimum.